In addition to serving locally, Paoli Presbyterian Church seeks to reach out nationally and internationally with the love of Jesus Christ. In an age of global air travel and instant communication, the whole world truly is our neighbor. MISSION TRIPS — PPC regularly sponsors mission trips to enable us to see and participate in what God is doing in places near and far. 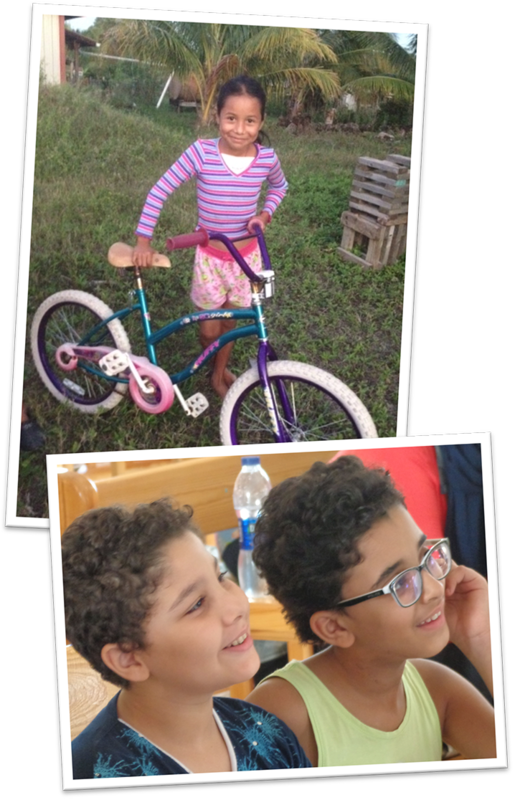 In recent years, our trips have focused on working with ministry partners in Egypt and Belize. All persons who may want to go on a trip are invited to consider where God is leading them. Team members typically return with increased faith, a wider worldview, and a passion for Christian mission. WASHINGTON, D.C. – Steve and Kathi Amar witness to and work with people from Iran who are living in the Washington, D.C. area, which has one of the largest concentrations of Iranians in the U.S.
NATIONAL, FROM N.J. – Based in Princeton, Centurion Ministries labors to exonerate men and women on Death Row who are factually innocent of the crimes attributed to them. EGYPT – PPC has a built a deep relationship with people and ministries in Cairo, Egypt. With our mission budget and special year-end giving, we have helped finance a medical/dental clinic at the Kolali community church and to build clean greenhouses and a dairy production facility at Health and Hope Oasis, a ministry for children whose immunity to food-borne infections has been compromised by cancer treatment. We also are involved with the Fowler Home for Girls and help support Dr. Darren and Elizabeth Kennedy, PC(USA) mission co-workers at the Cairo Protestant seminary. At least once a year, PPC sends a mission team to Egypt. BELIZE – Paoli Presbyterian Church works closely with a U.S.-based organization, The Word at Work, to assist Belize-based Christian ministries that serve orphaned and displaced children, prisoners, persons in hospice care and others in need. At least once a year, PPC sends a mission team to Belize. In 2016, the Paoli Pres. community worked for several months to collect medical equipment, school supplies, bicycles, appliances and other items needed by The Word at Work’s partners in Belize. We packed it all into a 40-foot shipping container and sent it off on our Fall Kickoff Sunday. MIDDLE EAST – PPC missionaries are serving the Lord in the Middle East. They work with drug addicts and alcoholics in a Christian rehabilitation center. They are involved in evangelism, disciple-making, and teaching the Word of God. KURDISTAN, IRAQ – Ben Duffy, who formerly worked elsewhere in the Middle East, is teaching English near the Turkish border in northern Iraq. KENYA – PPC supports eduKenya, which has founded a school in the Methare slum of Nairobi. Adam Gould, the U.S. director for eduKenya, is a former missionary-in-residence at the PPC Mission House. PPC separately works with the Wilson Rehabilitation Foundation, led by Dr. Doug Kerr, to provide orthopedic services at the Kikuyu Orthopedic Rehabilitation Centre. MOROCCO – PPC partners with Pastor David Hall and his wife, Lee, at the Evangelical Church of Morocco, which has a French-speaking membership. ROMANIA – Mike and Kris York are building a movement in Romania that is ministering to university students through evangelism, discipleship, and leadership development. The Yorks serve with Intervarsity Christian Fellowship. EAST-CENTRAL ASIA – With their four children, Jason and Barb Henry are among few Westerners living in a remote area of East-Central Asia. They run an agricultural business, work with a Bible society, and witness their faith in Jesus. UGANDA – African Rural Outreach And Development (AROAD) is led by Richard Kabazzi, a Ugandan. AROAD operates Hope Primary School for 100 pupils, primarily orphans. The school provides Christian education, housing and meals. Its U.S. headquarters is in North Wales, PA.